Our state-of-the-art-theater will leave you hanging at edge of your seat! Let your senses run wild as you experience every bump, drop, and turn with our motion simulator. 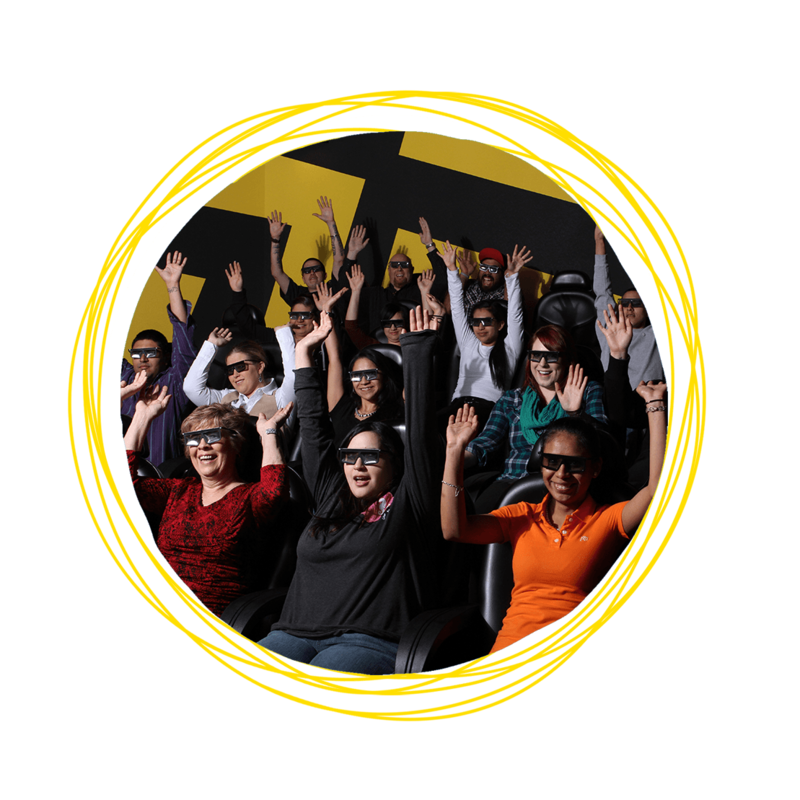 The theater offers two high-impact 3-D films with digital effects and motion seats that will have you feeling like you’re in the movie!